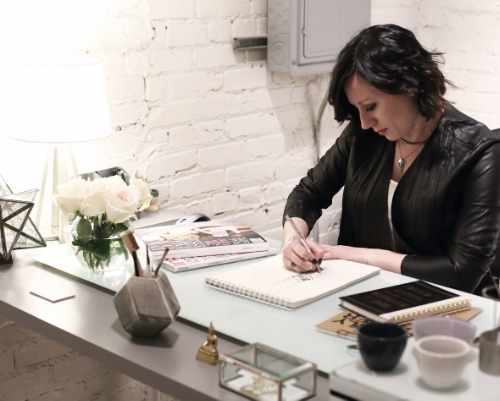 After spending 10 years in the corporate jewelry industry, Anne craved the freedom to explore ideas she was truly passionate about. She decided to move beyond the comforts of large design teams and world travels to take the plunge into entrepreneurship, in which HARDT JEWELRY™ was created. Anne uses jewelry as an outlet for expression of her style, thoughts, and beliefs. She seeks out pieces she can truly connect to – something that illustrates her personal story, her values, and her heart. This passion carries throughout her designs and allows her jewelry to speak to those who wear each piece. In creating the designs for HARDT JEWELRY™, Anne is able to craft something stylish, yet purposeful. She envisions her collections as fashion-meets-philanthropy, with the goal of creating a dialogue while promoting tolerance and respect for all people. "To me, Hardt represents strength, individuality, support, and advocacy for underprivileged, and/or marginalized groups and individuals. When I wear my Hardt, I am reminded of why the company was created: To bring visibility and create dialogue needed for change. My goal is to encourage people to start seeing each other as equals and as human beings....Because we all have one thing in comment---a heart." Anne is a native Minnesotan and currently resides in Minneapolis with her partner, and her dog-cat, Nike.